I love the above description of Canadian Voices Volume 1 (Bookland Press), an anthology of prose and poetry by emerging authors -- including yours truly. It not only sounds good but it's a great ideal for Canadian Culture. It's the new multiculturalism -- many voices; many stories. My story in the book involves a different kind of voice, the kind you don't really 'hear'. In Joey and the Turtle, I talk about a turtle telling me that my sister was going to die. The 'voice' came to me through drawings. Doctors and nurses gave me the same message, but my sister had beaten the odds before. I needed to hear the message at an intuitive level. I have a novel in the making about a woman who perceives ghosts -- but she can't hear them or talk to them directly. Their voices are transmitted through memories transmitted to her in dreams and hallucinations. 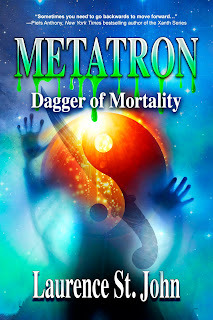 Mystery and romance are also part of the story, which was inspired by a Canadian Geographic article about the Canadian Arctic and a personal fascination for men in uniform, but the ghost part comes from personal experience. When I was seven or eight, my grandmother died. I knew she had died before my mother came to tell me because Grandma Bruce had visited my bedside. She didn't say anything but she conveyed a warning to be good and a farewell in her silent presence. Years later, at a funeral for a friend, I felt him near me during the service. Allen knew he was dying and had planned the event down to the hors d'oeuvres . I knew he was there overseeing everything. I didn't have to see or hear him to know he was with us, but I almost could see and hear him, his presence was so strong. 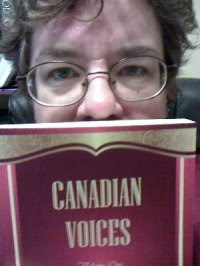 Maybe I'll write about Allen for Canadian Voices Volume 2.